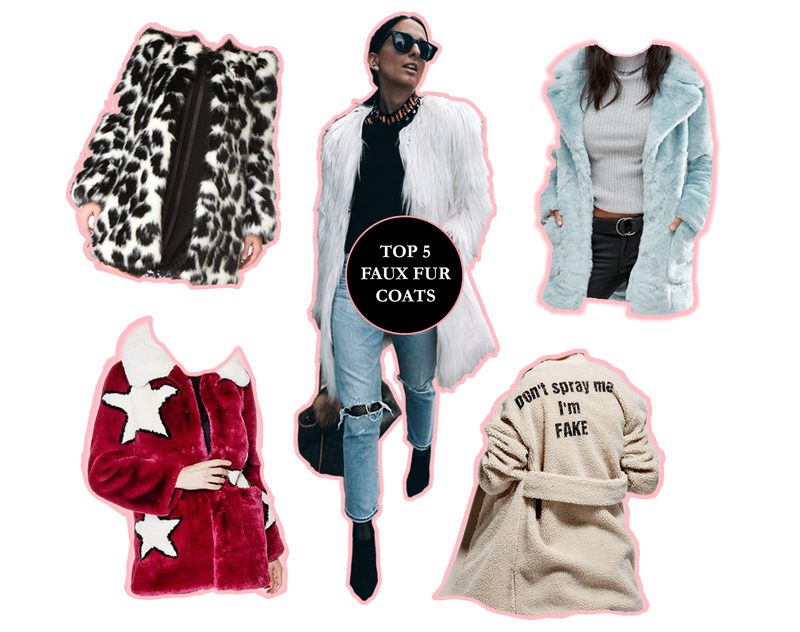 My Favourite Faux Fur Coats! I love faux fur coats. Duh. And to be honest, it really makes me smile whenever you guys comment on my outfit posts to tell me how much you love all my fluffy outerwear. Even though some of them aren’t that warm (but whoever got points for practicality?) 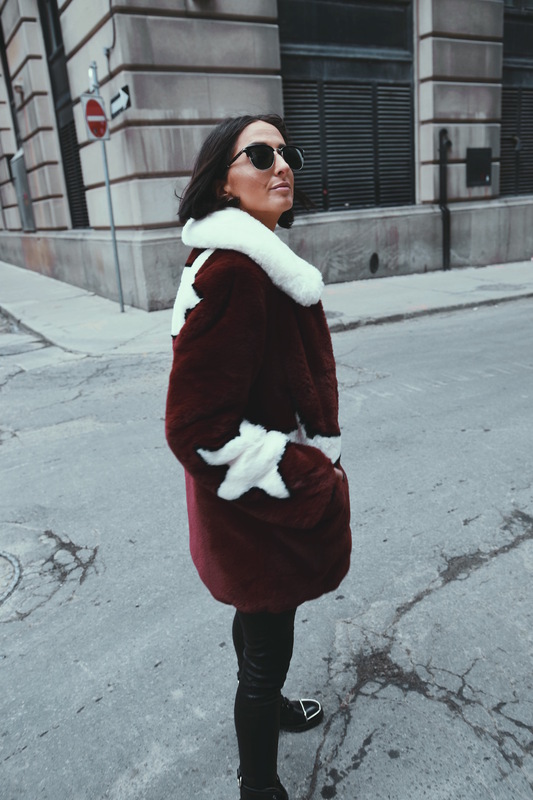 once you learn how to properly layer your faux fur coats AKA take Ubers everywhere door to door, they can actually become a stylish, winter wardrobe staple. I’m writing this post in a super rush, so please forgive the absence of witty analogies and flowery vocab. Also, I have stomach cramps, which aren’t helping my cause. I think I may be ovulating. ANYWAY, faux fur. Just like eggs, they come in all different shapes and sizes. Ha! I crack myself up! (Again, also like an egg). OK enough. What you want to do when purchasing a faux fur coat is think about the length, the shape and the colour. Do you want long or short fur? And, will you opt for something bright or with a pattern? There is so much out there to choose from! The good news is that compared to real fur, faux fur is actually quite affordable. There are, of course, more expensive versions which will stand the test of time and might actually trick an activist or two. One brand that in my honest opinion, makes some of the best faux fur coats is GUESS. I have 3 or 4 faux fur coats from them and I love them all! I also have faux fur coats from Zara, Express, Topshop and I’m in love with the faux fur coats by The Haute Pursuit. I love wearing my faux fur coats with jeans and open-toe shoes, or even sweatpants/leggings and runners. And if you can stomach it (AKA not get diarrhea when your midriff is exposed) a cute sports bra underneath a la Kardashian never hurt nobody. And word to the wise? 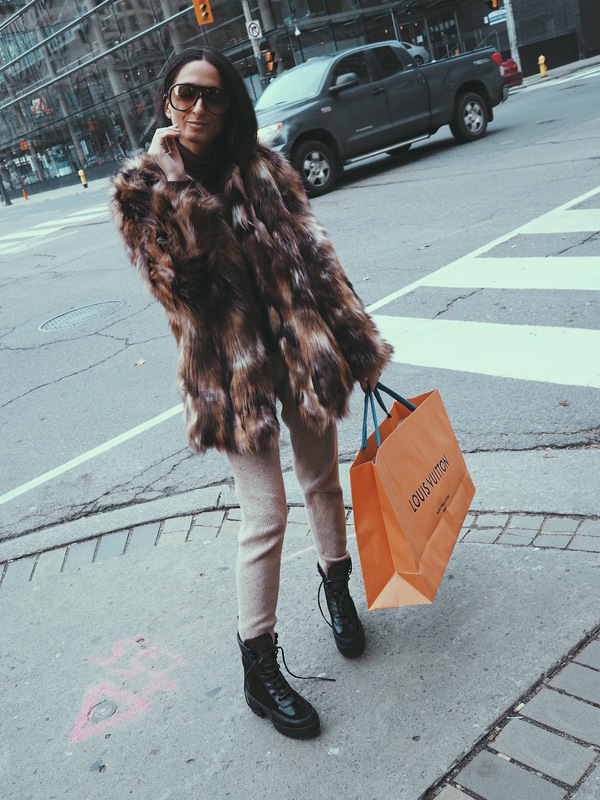 My faux fur star coat is on sale right now for a limited time only… 50% off! 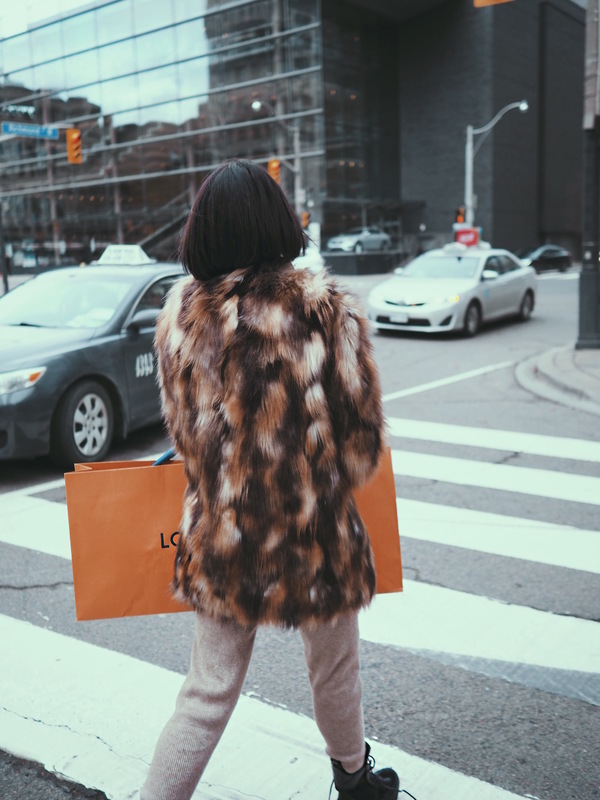 Have you ever owned a faux fur coat? I’d love to know some of your favourites. Leave me a comment and let’s chat! Previous Post Discovering style at the #VWAutoshow with Volkswagen. I love fur coats!! I really wish it was colder where I live to be able to wear them out more often.